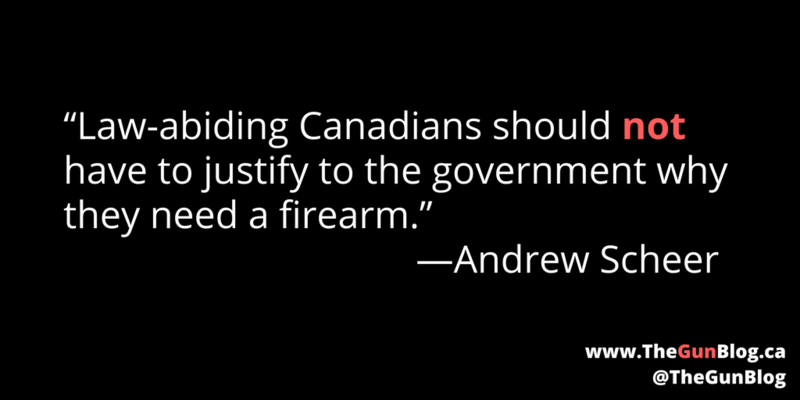 TheGunBlog.ca — Andrew Scheer, the head of Canada’s Conservative Party, stands by the gun policies he outlined last year, one of which the former RCMP chief called “nonsense” in the face of a “rabid” gun lobby, The Globe and Mail reported today. The proposal by Scheer, the only federal party leader who owns guns, to withdraw the Royal Canadian Mounted Police’s power to change the legal classification of firearms was criticized by Bob Paulson, the former police commissioner, the newspaper said. The plan is “nonsense, nonsense and a little bit more nonsense,” the Globe quoted Paulson as saying. “There is a rabid firearms lobby that has their hooks into the Conservatives, and they’re aggressive, and the only way that, in my view, the political folks can keep them at bay, is to blame the RCMP,” Paulson told The Globe. “In truth, the elected officials have all the power in the world right now. It’s not a discretionary call that the RCMP make, it is the application of the laws that those elected officials make,” the former police chief was quoted as saying.